The Characters of C.S. Lewis come to life onstage at The Frazier Boathouse! 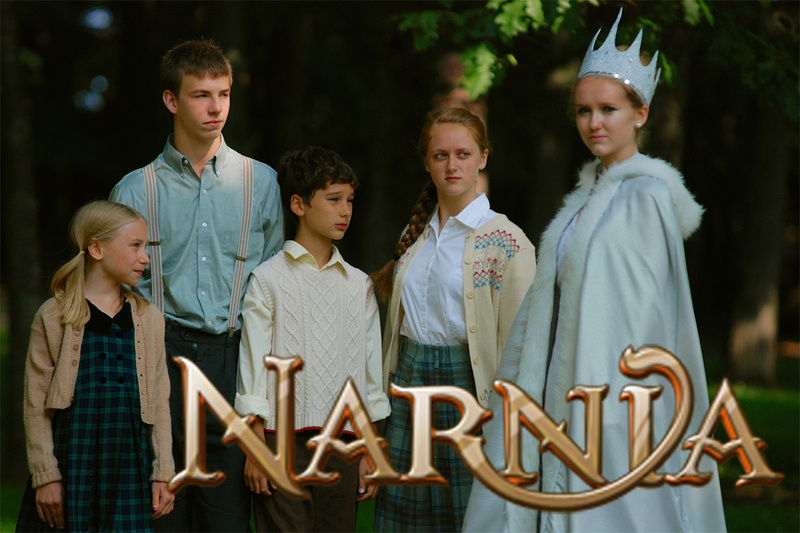 Tickets Now on Sale for "Narnia" the musical! 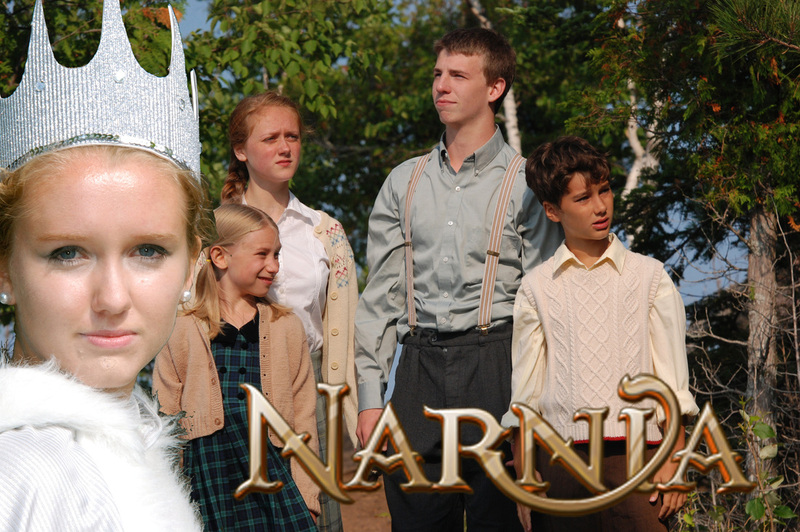 (Marquette, MI) (Wednesday, July 30, 2014) - Tickets are now on sale for Narnia playing at The Lake Superior Theatre in Marquette with our first cast starting on Thursday, August 7, 2014 through Sunday, August 10, 2014 with shows at 7:30. Our second cast will pick up shows again on Wednesday, August 13, 2014 through August 16, 2014 with shows once again at 7:30. The musical is based on the works of C.S. Lewis, Book by Jules Tasca, Music by Thomas Tierney, and Lyrics by Ted Drachman. The Lake Superior Youth Theatre cast contains approximately 78 cast members youth ages 3 to 18 led by Directors, Jill Vermeulen and David Bashaw. The first and most famous story of The Chronicles of Narnia has become a musical presentation of this unique, enchanted world filled with creatures and spirits of myth and fable, both good and evil, demonic and transcendent. The principal inhabitants, however, are the intelligent talking animals ruled by the majestic King Aslan (played by Kees Gray), the great lion of Narnia. Though Aslan is often absent from the land (so that his very existence is doubted by some), he returns when the need for him is greatest when The Four Sons of Adam and Daughters of Eve come to Narnia. Though the Pavensie children think they are simply exploring the Marbleton Manner, they discover a magical doorway to another world. They are expected by all good Narnian animals and Aslan to fulfill a prophecy to conquer The White Witch (played by Danielle Jahnke, cast one, and Kayla Grugin, cast two) with her Deep Magic and her ruling of always winter, never Christmas. Peter (played by Chandler Bur), Susan (played by Kendra Palomaki, cast one, and Emily Burbey, cast two), Edmund (played by Ricky Vermeulen, cast one, and Vincenzo Stabile), and Lucy (played by Kaelyn Amis, cast one, and Amelia Bishop, cast two) meet other Narnian creatures who guide them along the way, such as Mr. and Mrs. Beaver (played by Robert Smedman with Janae Peterson, cast one, and Robert Smedman with Caitlin Palomaki, cast two) and Tumnus (played by Jeremiah Ogawa, cast one, and Truman Durand, cast two). Narnia wants to sing, and from the excitement of the opening song, “Aslan’s on the Move,” to the joy of “Narnia (You Can’t Imagine),” your spirits will soar with all of those on stage! The Lake Superior Youth Theatre's mission is to empower young people to maximize their potential through performance arts training and the creation of outstanding theatrical and musical art while having fun and feeling safe in doing so. Previous productions in the past year have included "Seussical Jr.", "Kids Sing Broadway" and "Honk Jr.". Other performances at Lake Superior Theatre this summer include: “King Lear” – August 19-22 presented by the Westwood Shakespeare Company. Lake Superior Theatre is located at 270 N. Lakeshore Blvd., Marquette. Parking is available at the Ellwood Mattson Lower Harbor Park, a short walk from the theatre. However, handicapped parking is available at the theatre itself. 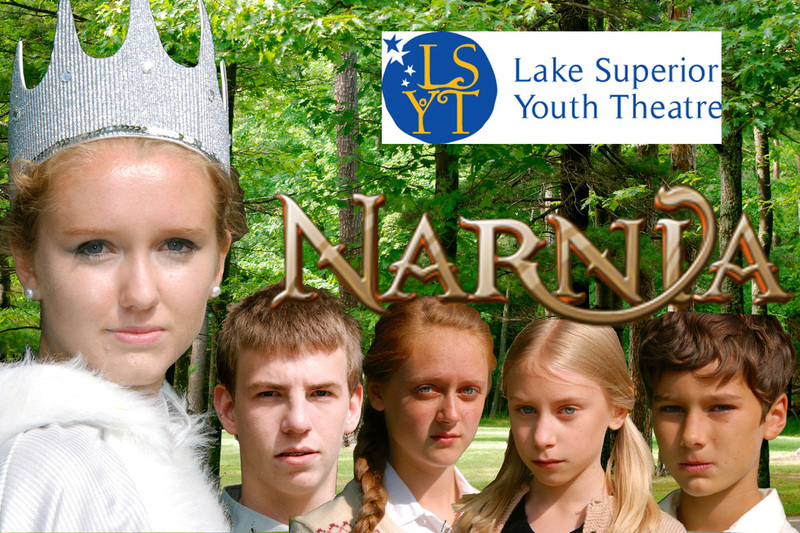 For More information or reservations call (906) 227-7625 or visit www.lakesuperiortheatre.com. Tickets are on sale at the NMU EZ Ticket Outlet, online at www.nmu.edu/tickets or by calling (906) 227-1032. New for LST: Purchase reserved seats online and print at home for free. You can go in person to the Superior Dome or the NMU Bookstore, open Monday-Friday 7:30 A.M. – 4:00 P.M. Order by phone for mail/will call (extra charge applies) at (906) 227-1032. Tickets will also be available at the theatre from 6:00 P.M. to showtime on evenings of performances. Individual tickets cost $15 for adults, $12 for seniors/students and $7.50 for age 14 and younger. Cost is $10 per person for groups of 10 or more. Season tickets are also available. For information, call (906) 227-7625, email LSTPlayhouse@gmail.com. Visit www.lakesuperiortheatre.com or Facebook: Lake Superior Theatre. This activity is supported by the Michigan Council for the Arts and the Cultural Affairs and the National Endowment for the Arts. Lake Superior Theatre Summer 2014 is sponsored by the Downtown Eye Care, Marquette Breakfast Rotary and the Frazier Fund with support from Donckers, The Mark Aho Financial Group, Range Bank, The Vierling Resturant, Marquette Harbor Brewery, and Wells Fargo.